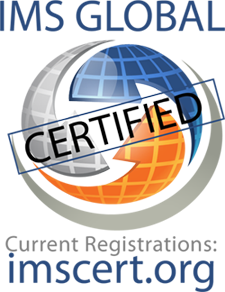 Etudes is a member of the IMS Global Consortium Alliance and is certified in LTI. 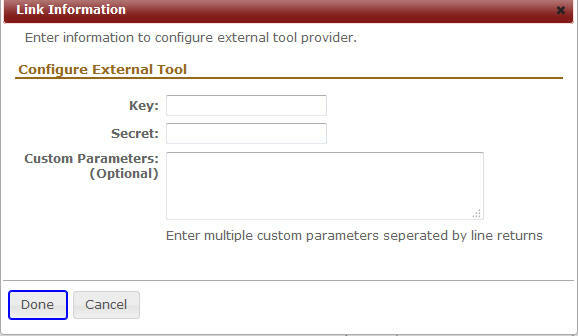 If you are working with a publisher who supports the LTI specification (Learning Tool Interoperability), you can add a link to their content or services on the left menu of your class and offer single sign-on to your students. Please contact your provider for the URL, key, and secret. Adding a link to publisher content or services is the same as adding a web link, but you’ll need to add the LTI details. Enter the title for the left menu item and the URL to the service, and then click on the server icon (far right). Add the key, secret and any parameters, as provided to you by your publisher.